The City of Johannesburg in partnership with Wits University, earlier this year launched an initiative to give Johannesburg based innovators who want to make a change in their community, an opportunity to turn their idea into a startup through the #Hack.Jozi Challenge. The challenge was for entrepreneurs to come up with digital solutions to solve the every day challenges faced by their communities. Described as a boot camp for startup entrepreneurs, the challenge was open to either individuals or teams with the relevant technical capabilities with an innovative idea using the power of digital technology. The overall winner will walk away with R1 million, with the first and second runner ups taking home R350 000 cash prizes each. The winners will also receive one year free hosting credit for their business applications from IBM. Meet the top ten techno savoy entrepreneurs who made the cut. Software engineer by day, Percy Lawrence and his partner, Jim Makuwa’s idea is MoveThisStuff. MoveThisStuff is an app that provides cost effective logistics management for both private companies and corporates looking for removal services. Users ofthe app are able to get quotes, coordinate the moving process and track the process. According to Lawrence, those who make use of their application will have peace of mind knowing their goods have been safely delivered to their desired location. Lawrence says he has been coming up with different inventions since his teenage years. Mthokozisi Gwebu together with Mzwakhe Kubheka, Mpho Moroa and Sikhumbuzo Nkosi are the developers behind Tea. Tea is a mobile website which connects township-based small and micro business with customers looking for their products and services. Business owners will be able to register for free on the platform, which will also serve as a marketing tool for their businesses. Gwebu who is a full time entrepreneur, together with his partners, says the idea came to them after seeing the slow growth of township-based businesses. They hope to curb the current high failure rate of township businesses through their innovation. ​Developed by self-taught inventor, Phathwa Senene, Scova is a fire reporting device that will enable community member in informal settlement to report fires. But the device will not any serve in cases of fires, it will also enable community member to report emergencies. Through the device emergency personnel will be able to get the exact location of the fire or the emergency. “The device will help firefighters to respond to the emergency quickly, as well as the exact and the nature of the fire,” says Senene. The device, which is controlled with a small remote, also has a video feed feature which will assist the fire station to assess the fire from the station, also informing them of the kind of fire-fighting tools that they will need. Some of his other inventions include a water saving device, a post box notification system and a police vehicle verification system. Desmond Mongwe, Thato Selau and Carol Dutton designed moWallet, a mobile app that works as a digital marketing tool that connects township spaza shops with customers. According to Mongwe, the app will introduce new marketing channels for the spaza shop customer. Though the app customers will also be able to find out about discounts and other incentives offered by various spaza shops. Mongwe says that the application can also be used to distribute food parcels. As Mongwe explains, the app offers a win-win solution for both business owners and customers. 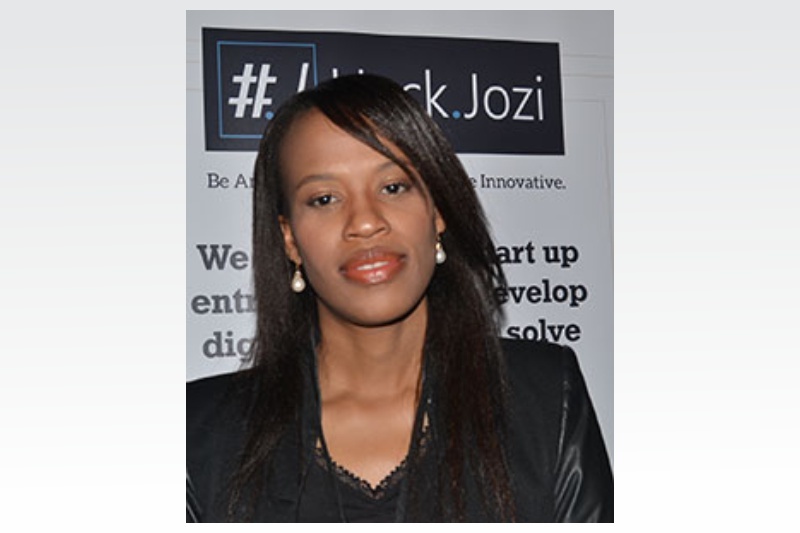 MoWallet took the fourth place at the Gauteng Accelerator Programme (GAP) ICT Innovation Competition last year and has won the first prize at the first Start-up Weekend Soweto 2014. Developed by industrial system engineer, Harold Mochesane, Kgalalelo Sehoho and Luvuyo Duma, this mobile app targets public transport users. Public transport users can use the app to easily find out about various transportation options available to them. Beyond that, users will also be able to see how much the fare will cost, the estimated time it will take, and even the right hand gestures to use when stopping a taxi. Mochesane says that although they are not the first transit application, Vaya is the only application which will include taxi specific information. Niel Pieters is a programmer by profession who wants to make studying easy and fun. He hopes to achieve that with the Teachinator. The app which is aligned with SA’s school curriculum, will allow learners to work through their schoolwork while their parents track their progress on their mobile phones. Pieters describes the application as a fun learning tool which will not only help children, but will also help parents monitor and help their children. According to Pieters, the HackJozi Challenge has helped him gain greater focus on his business. Diepsloot based entrepreneurs Johannes Nkale, Hazel Mahlaba, Awelani Ligege, Helen Ramela,Lesiba Setumu and Sipho Ngobeni, are the brains behind Diepsloot Kasi Hive. The Kasi Hive mobile app hopes to provide the solution to the long queues experienced by many people seeking healthcare in public hospitals and clinics. Nkale says the app allows people to book appointments from the comfort of their homes using their mobile phones. Nkale says taking part in the challenge has been a great educational opportunity for him and the rest of the team, and has also given them the exposure they needed. The Ghost platform was developed by Taolo Modisi who is a investment banker by day. Modisi, who has an interest in the arts, developed the mobile video and music platform to help promote upcoming artists. “This is something that I have also always been interested in,” says Modisi. The app allows artists to upload their music on the platform. Artists can also generate much-needed revenue on the platform by allowing users to contribute money to the artists that they like. Through this platform, Modisi hopes to help artists make a living in the music industry. The brainchild of Stephen Oehley (55), SATP is an app that works to facilitate and grow trade in BRIC countries and across the African continent. The free app will offer individuals looking to trade between Africa and BRIC countries a directory, allowing them to see what is available for trade, as well as from who, and the time. Oehley says the challenge was fun, educational and motivating experience. He says that competing with the different entrepreneurs who are also looking to improve and change the lives of their community members was a highlight. Rendani Ramabulana, a software developer and his team, Nkanyiso Sibanda and Mandlenkosi Nhleko, developed MuniCom, a mobile application that enables communication between residents and their municipalities. Through the app, community members will be able to log service delivery issues. The municipality would then be able to respond to the issue. According to Ramabulana, by using the app, community members are also able to monitor and track their complaints.